It's Fitness Month at Mobile Nations, and that means we're going to spend the next few weeks exploring how to get you in shape, assisted of course by your webOS devices. In addition to our Stepping Up! and Excersie MY way contests in the forums, today we're taking a look at the best webOS apps to help in your exercise routines. So join us after the break for the greatest in webOS get fit apps! The gist of interval training is that exercising in bursts of high-intensity instead of a continuous moderate intensity results in a more effective workout. A1 Fit Interval Trainer by A1 Development approaches interval training with a customizable information presentation, including how long you want your warm-up and cool-down times to be, how long you'd like each high- and low-intensity period to last, and how many cycles you'd like the app to run you through. Hit the big green start button and you're thrown to the timer screen. There are two countdown timers, with your current period timer at the top and the total time remaining at the bottom. Each is accompanied by a progress bar, with the period timer's also listing the current activity (warm-up, high intensity, et al) with big bright color-coding, and a count of how many intervals through you are in the workout. Couch to 5K provides a three-days-a-week for nine weeks program designed to get your from nothing to being able to run a full five kilometers (3.1 miles) nonstop. Sound impossible to do in just nine weeks? It's not as hard as you might think, and the simplicity of Couch to 5K will make it easier. The app provides an evolving routine each day, starting with twenty minutes of alternating between jogging and walking on week one, day one to twenty minutes of jogging on day three of week five, finishing with a 30 minute jog set at the end of the nine week course. Built on the same principles as Couch to 5K, Fitness Appz relies on interval training to ramp you up from barely being able to do one push up to knocking out fifty without stopping. Six-week courses are also provided for sit-ups, chin-ups, and squats, getting you from flabby to fantastic (or at least in better shape) with just three-days-a-week for six weeks. Fitness Appz combines four of Infinite Appz's interval training apps into one super-app. Individually, 100 Pushups, 200 Situps, 200 Squats, and 20 Chinups each retail for $1.99, while Fitness Appz wraps them all together for just $4.99 (there's also a $4.99 Fitness Appz HD for TouchPad - it's the same app but bigger and harder to tote around the gym). JogStats brings a level of polish and webOS-ness that some other run tracker apps lack, and has the added bonus of being fully functional. Unlike some other run trackers, JogStats does not have a cloud backend, which while this means you can't automatically backup your runs and look at them from other devices, it also means (1) you don't have to deal with needed a data connection (GPS tracking is going to drain your battery fast enough) and (2) you don't have to futz around with online systems that change while the webOS app is left abandoned. You may not count yourself among the ranks of "athlete", but interval training can be of use to you as well. Thanks to SpeedyMarks' $0.99 Workout, you too can try out interval training. Workout is about as basic as an interval training app can be, and it doesn't need to be much more than what it is. Upon launch you're presented with three fields, a feedback selection, and a start button in a purple box. The fields let you set your work and relax period length (in seconds) as well as how many times you want the cycle to repeat. Feedback can sound a chime at each interval or be silent. So those are our favorite webOS apps for exercise - what do you use to make the most of your Pre or TouchPad when getting your fitness on? 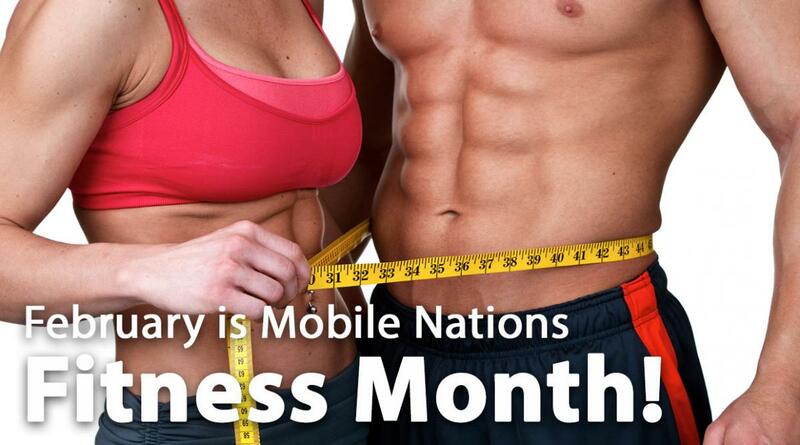 And be sure to chime in in our ongoing Fitness Month contests for your chance to win prizes!